Two fat ladies, two little ducks, snakes alive or all the fives – I love a game of bingo! And what a great idea this one is for kids and adults alike. 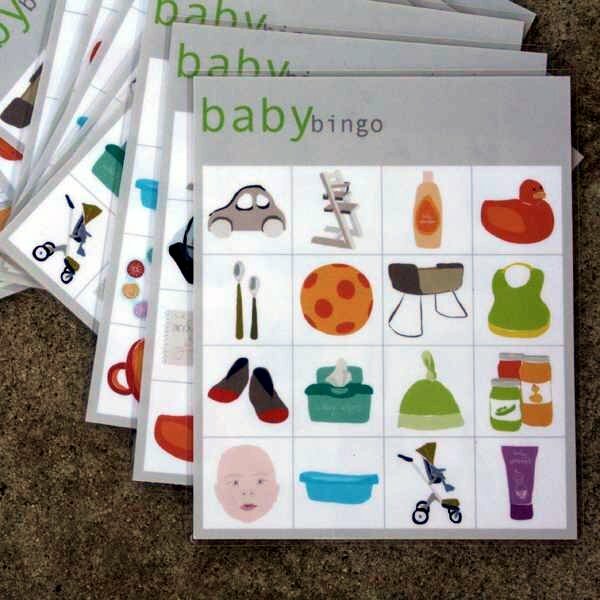 Baby Bingo by Cluster Design is just what it says on the box. Made by an American mum, each bingo pack has enough laminated bingo and calling cards plus chips for up to twelve players. Instead of numbers, you match up to baby-themed illustrations. You can choose from different sets including boy and girl bingo. Great for a baby shower, or just a game with your kids, these make a super gift. Each set costs US$24.99 and shipping to Australia is available. Check out the excellent flash cards too.